I’ve been working on incorporating e-textiles into my fiber work for over a year now. 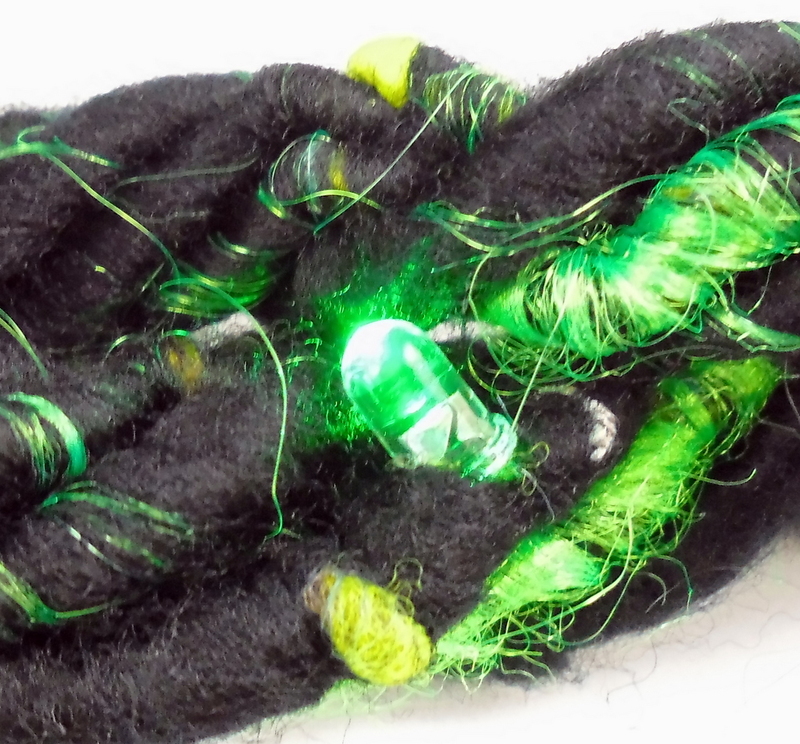 The catch was that I didn’t just want to sew it in or incorporate during the crafting, I wanted to make the fiber part of the electronics – I essentially wanted to spin the circuit. 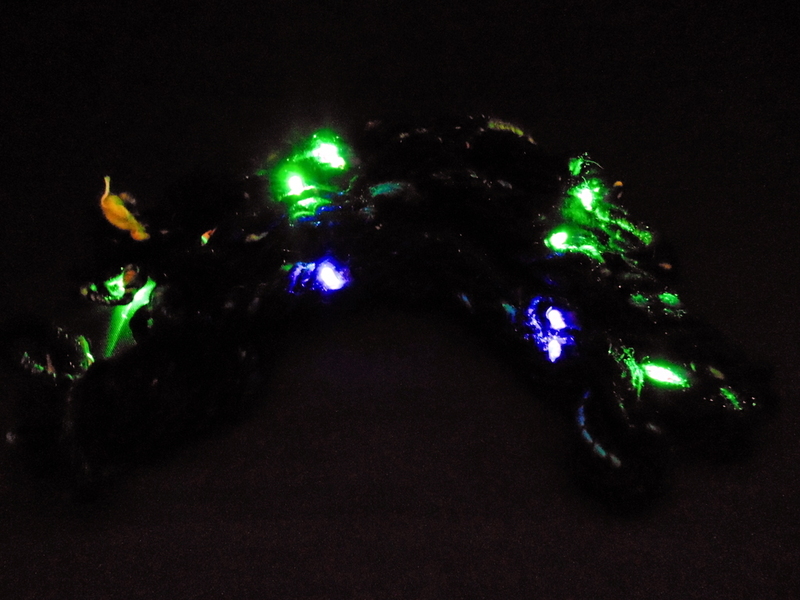 After many prototypes I have a good working process down – just a few lights, 5-7 yards, small 3 volt battery – which works because short yarn is better when you can’t cut it. The process has several steps that cannot be skipped and therefore it takes several days to produce each skein of yarn properly. Things worth doing are worth doing well. I will be in the NGY booth discussing the handspun circuit as light up yarn at Maker Faire KC this weekend and will have some skeins available as well. I will be releasing the tutorial for spinning the yarn in the future.